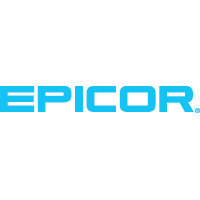 Epicor Software Corporation drives business growth. We provide flexible, industry-specific software designed to fit the precise needs of our manufacturing, distribution, retail, and service industry customers. More than 45 years of experience with our customers’ unique business processes and operational requirements are built into every solution?in the cloud or on premises. With this deep understanding of your industry, Epicor solutions dramatically improve performance and profitability while easing complexity so you can focus on growth. For more information, connect with Epicor or visit www.epicor.com.